Many people get frustrated with foot and ankle injuries. Serious injuries make it difficult to do many types of work. When an injury at work keeps you out of work or limits what you can earn, you may be entitled to workers compensation wage loss benefits. These benefits are one of the three primary benefits provided by Georgia’s workers compensation law. 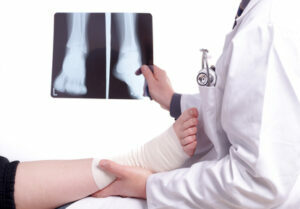 What sort of work activities are affected by foot and ankle injuries? While some jobs allow you to sit or stand, many jobs require you to spend a lot of time on your feet. Most people with foot and ankle injuries have difficulty standing or walking for an extended period of time. Some jobs require you to climb stairs or ladders frequently. It can be very difficult to go up and down stairs or ladders with a foot or ankle injury. If your job requires you to work at heights, you need to be sure that you can keep your balance. A foot or ankle injury could make it dangerous to work at heights. Proper lifting technique usually requires you to use your legs. Heavy lifting could be difficult with a foot or ankle injury. If a job requires you to carry a heavy item, it could cause additional problems since carrying really combines walking and lifting. What happens if I cannot do my job because of restrictions from my injury? After a workers compensation injury, you should receive medical evaluation and treatment. Your doctor will probably place you on some restrictions. There is a good chance that your doctor may restrict you from performing some of the activities that I have mentioned above. Your employer will send you home because they do not have suitable light duty work. If your employer offers you a light duty job, you will want to make sure that it is suitable to your restrictions. If not, then you will probably need to address this. You will also want to know whether the light duty job will pay you as much as you made before. If it does not, you will probably be entitled to temporary partial disability benefits. If your employer sends you home because they do not have suitable light duty work, then you should start receiving temporary total disability benefits. This article talks more about temporary total disability benefits including how long the insurance company has to start paying them. Do I have to go back to work after a foot or ankle injury? No. You do not have to go back to work. But, refusing to go back to a suitable job can affect your entitlement to workers compensation benefits. The primary situation where you would need to return to work is when your employer offers you a suitable job. Georgia’s workers compensation law has special rules about light duty job offers. These rules usually provide you with a trial return to work period. They also address whether you will continue to receive workers compensation benefits. The light duty job rules can be some of the most confusing rules in Georgia’s workers compensation law. I see many situations where people’s workers compensation benefits get stopped because they refuse to return to work or because of what happens when they try to return to work. I always recommend that someone have a consultation with a workers compensation attorney when they face a light duty job offer. Can I go back to work with a different company after my injury? Yes. You can go back to work with a different company. But, you should be aware of how it could affect your case. One thing that will happen if you go back to work is that your workers compensation wage loss benefits will stop or get reduced. Your earnings at the new company will be counted against your wage loss. One special situation where you can continue working at a job without having it count against you is concurrent dissimilar employment. One other thing that usually happens if you go back to work with a different company is that your workers compensation case gets more complicated. The workers compensation insurance company may try to argue that your new job is making your injury worse. 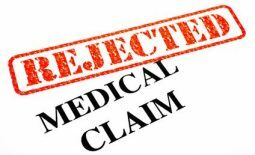 This can lead to delays in approval of medical treatment and could likely result in you having to go to court about your case. What happens if I have permanent restrictions that prevent me from going back to work? Unfortunately, serious foot and ankle injuries often cause permanent limitations. You might not be able to do a job that requires you to be on your feet much. You could need to avoid climbing or working at heights. 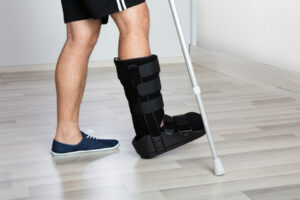 If your workers compensation injury causes permanent restrictions that prevent you from going back to work, then the insurance company should keep paying you temporary total disability benefits. But, Georgia law limits how long you can receive these benefits. In most cases, these benefits will stop 400 weeks after you injury occurs, even if your injury still keeps you from working. 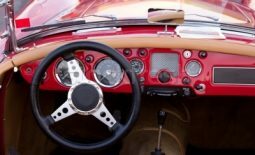 In many cases, the law may allow the insurance company to reduce your benefits sooner than that and possibly to stop them at 350 weeks after your injury by filing a Form WC-104. If you have other questions, you should try to get answers. Unfortunately, the biggest mistake that I see people make after a workers compensation injury is waiting too long to answer their questions. This often causes them to make mistakes or lose their case. Talking to a workers compensation attorney is the best way to get answers to your questions. You may wonder how much it will cost to have a consultation and get answers. I provide free consultations in workers compensation cases so that you do not have to worry about the cost. If you would like to schedule a free consultation, it only takes a few minutes. Just call our office at (770) 214-8885 or complete and submit our free consultation request form.